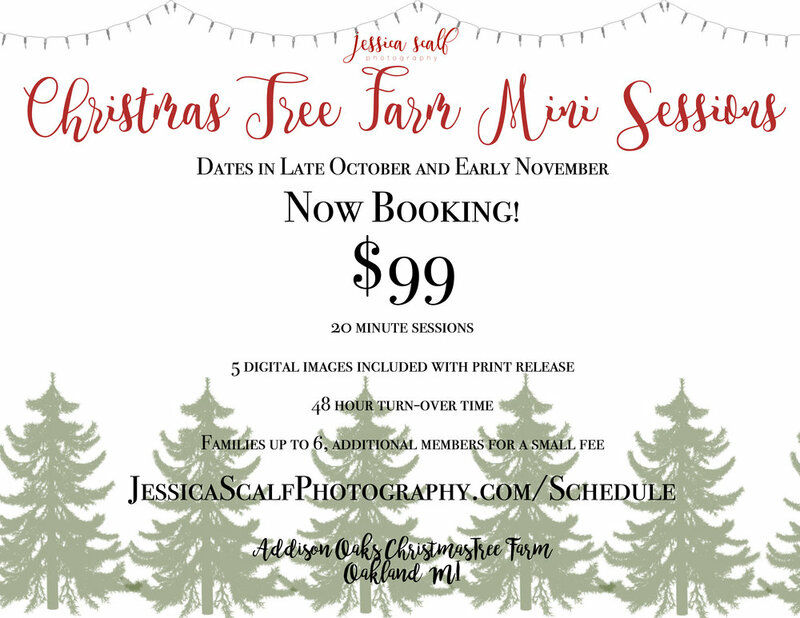 It's hard to believe, but it's time to start booking for our holiday mini sessions! This year we've decided to hold our sessions at a Christmas Tree Farm! We're planning a simple, rustic setup. This is our favorite time of year, and we would love to catch some quick family photos for your family for cards, holiday newsletters, or just an updated family shot! These shoots are booking quick, set up your time before they're all gone!